So you want to wear Indy's Stetson hat? Dress up in his beat up leather jacket? Snap his trusty bullwhip? And go on the most exciting adventure of your life? Well, here's your chance! 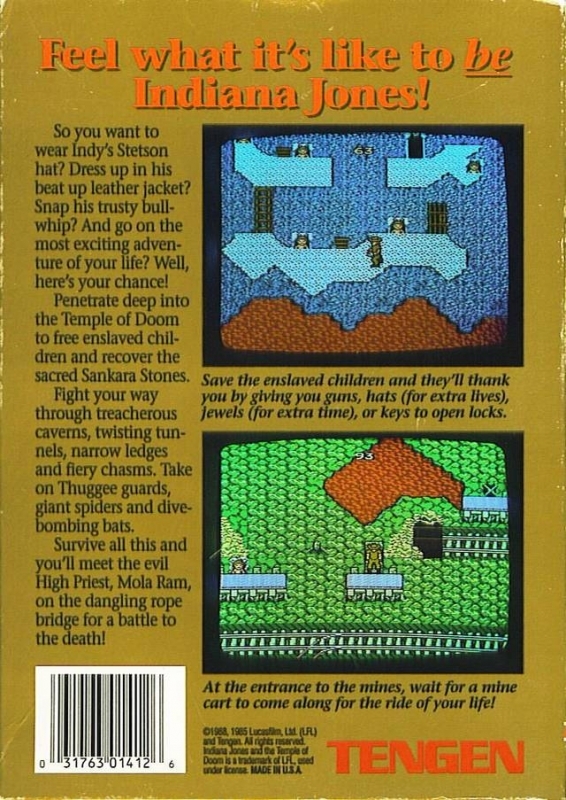 Penetrate deep into the Temple of Doom to free enslaved children and recover the sacred Sankara Stones. Fight your way through treacherous caverns, twisting tunnels, narrow ledges and fiery chasms. Take on Thuggee guards, giant spiders and dive-bombing bats. Survive all this and you'll meet the evil High Priest, Mola Ram, on the dangling rope bridge for a battle to the death!